Trip to Walt Disney World needs preparations. Creation of account of My Disney Experience is so important because it's a first step of everything. I did create my own account from "Create Account" linkage on official web site. 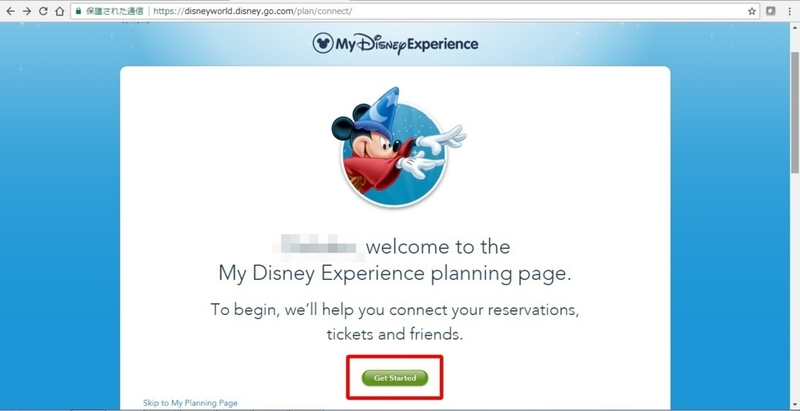 Then, let's connect reservation information. First of all, I linked M-chan's account from "Family and Friends" menu so that we can share all information with each other. 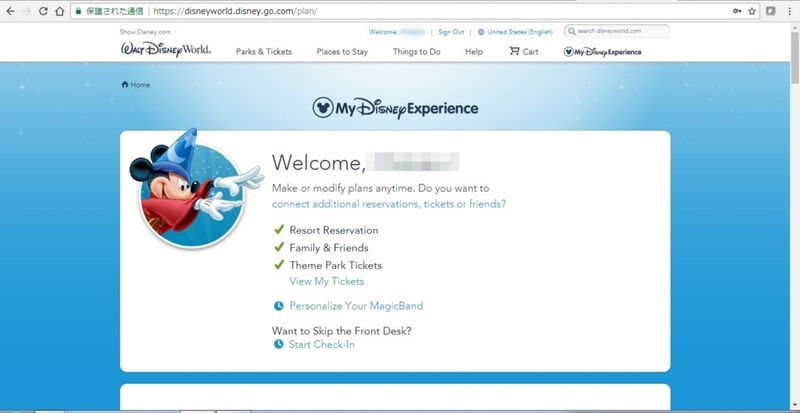 Next, connecting of Hotel reservation from "Resort Reservations". The travel agency we used could tell us confirmation number of hotel booking. I submitted it. 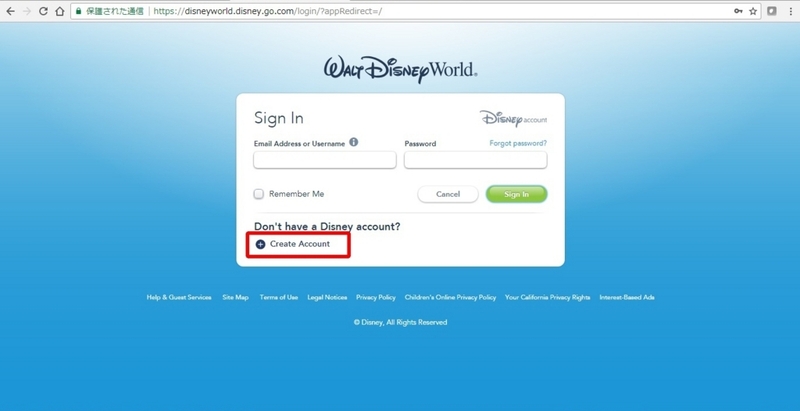 From "Theme Park Tickets" menu, I could submit our park tickets' confirmation number. Screen asked me to assign tickets to our account, then I assigned one to M-chan, and another to my account. Yeah! all reservations are merged! 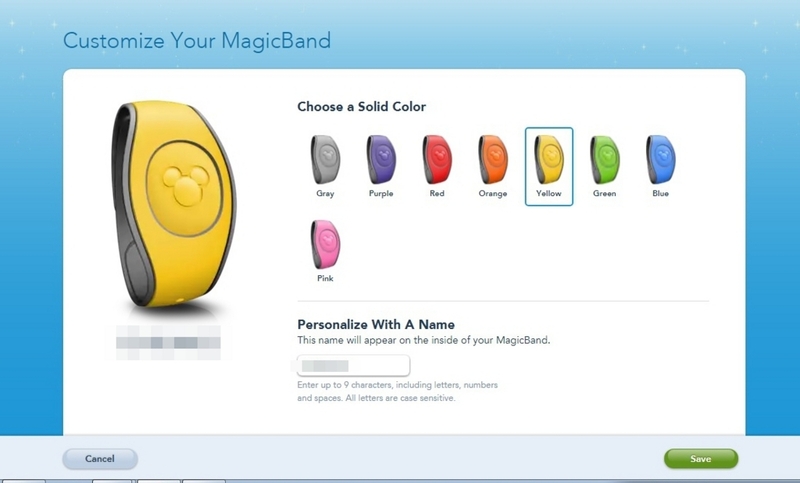 I also submitted color and name of my own MagicBand from "Personalize Your MagicBand" menu. M-chan also could hers because her account were also connected to hotel reservation info. 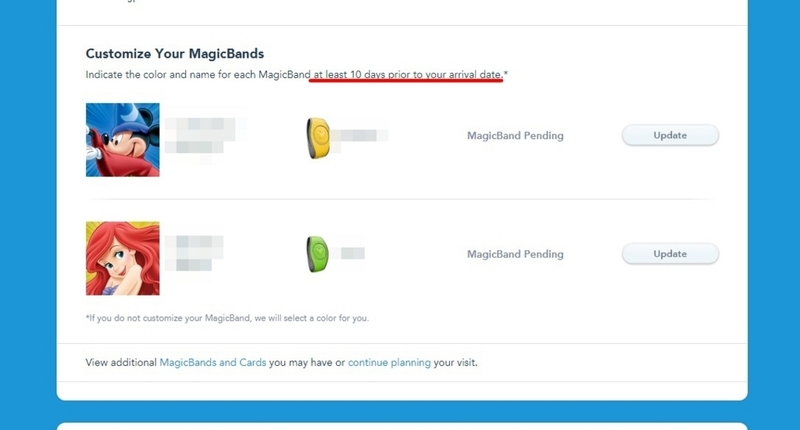 By the way, the deadline for customizing MagicBand has changed. When I saw travel logs on internet, it was 30 days prior, but now my screen says "at least 10 days prior to your arrival date". Great improvement! I saw details on FAQ page.